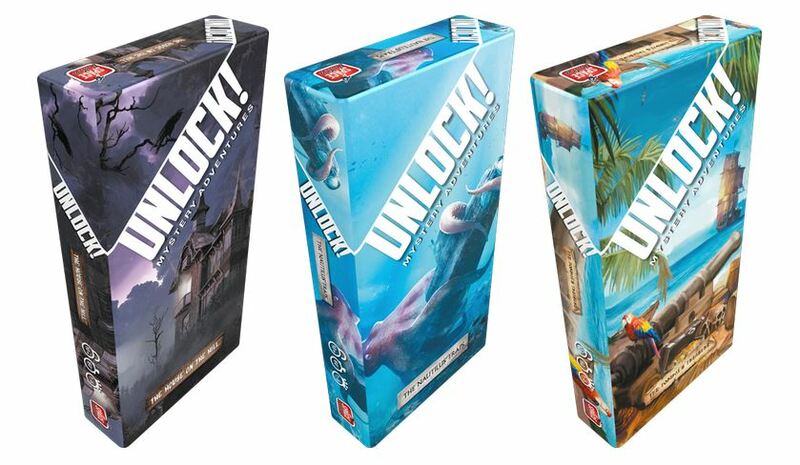 Like the three previously released Unlock! adventures, each of these new adventures captures the pulse-pounding excitement and devilish puzzles of an escape room and brings it to your tabletop in a single deck of cards. While the Unlock! companion app ticks away the seconds and offers hints when you need them, you and a group of your friends must use your logic and deductive skills to find the solutions to a series of interconnected puzzles and escape the room. With the perfect mixture of intuitive mechanics, cunning puzzles, and only an hour to escape, each Unlock! adventure is a self-contained experience in a single box.